Nicholas A. Basbanes, a regular contributor to Fine Books & Collections has a nice article this month about the Brattle Book Shop in Boston. The title of the article claims "oldest bookstore in America," and Basbanes traces its origins to 1825. In my collection of ephemera, I have a book dealer's calendar from 1901. His name is W.F. 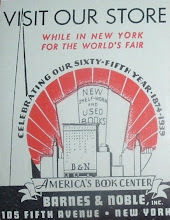 Tenney and his calendar advertisement states "old books bought and sold." His shop was located at 26 Brattle Street. Could Tenney have been neighbors with the Brattle Book Shop? Were they the only book dealers on Brattle St. or was there a lively book community in that area? On Brattle Street, in Scollay Square, the Brattle Book Shop was born and christened by its location. There it thrived until the 1960s when it succumbed to area redevelopment projects and relocated. No telling whatever came of Tenney. His business may not have been around to see the 1960s. Perhaps it continued under another name or was purchased by another dealer. 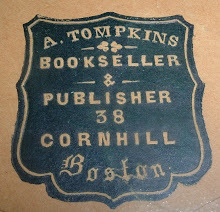 At least for awhile, around the turn of the last century, there were a couple of book shops on Brattle St. in Boston for collectors to find old books. Here's a book that has a couple of misplaced pieces of bibliophemera. The library label is pasted to the front cover instead of one of the usual places inside the book. Not unheard of. Also, the good folks at the library thought to include a silk ribbon bookmark, imprinted with the library's name, address, and phone number. 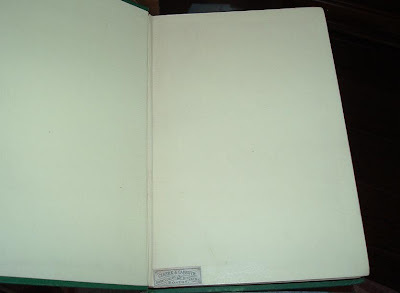 But for some reason it was pasted to one of the rear endpaper where it was rendered useless as a bookmark. Odd. Perhaps it was there in lieu of a library stamp. Collecting interests regarding books and book-related ephemera don't necessarily diverge with collectors; they often merge, as I'm discovering with my own interests. I have collected books of one kind or another for many years. Bookplates, trade labels, and other interesting ephemera found in acquisitions were considered a nice surprise or bonus, but they were not actively sought nor purchased strictly for their collectability. Many of these inconspicuous bits of paper, tucked away on endpaper corners, are easily overlooked. 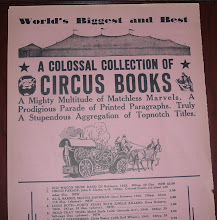 My last post (Classic Motorbooks label) got me to finally start looking through my own library for overlooked and forgotten nuggets of bibliophemera. A quick search of a few bookcases turned up a decent beginning. As time permits, I'll do more searching and hopefully find some nice examples of these tiny bits of ephemera. I also searched the Web for any information that might exist about collectors and collections. Here's a few that impressed me: Sarah Faragher's collection and Seven Roads Gallery of Book Trade Labels. A trip to the Indy 500 last month reminded me of a set of 1960s/early 1970s Autocourse books I came across last year. The 1969 volume had a bookshop label from Classic Motorbooks in Minneapolis. I thought about removing it, but I let it go. The set quickly sold and I regretted not saving the label from the '69 volume. But I did take a picture of it. I was curious to see if the bookshop still existed; after all, it's been nearly 40 years since that label was affixed to the rear pastedown. To my surprise, it does exist, albeit in a dramatically altered state from its humble beginnings in 1965 in a Minneapolis garage. Through expansion, publishing, name changes, and changes of ownership and business focus, Classic Motorbooks morphed into MBI Publishing and its three imprints: Motorbooks, Voyageur Press, and Zenith Press. And they were purchased last year by Quay Publishing. Over the last 40 years, the little bookshop grew, got into publishing, grew more, and hopped around the country in a succession of coast-to-coast acquisitions. Earlier this year, Quay moved the company headquarters back to Minneapolis where it all began. 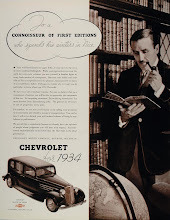 And today Motorbooks.com continues the vision of its original owner, Thomas Warth, selling good books to motorsports enthusiasts. Read more about the company's history here.